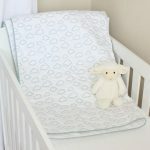 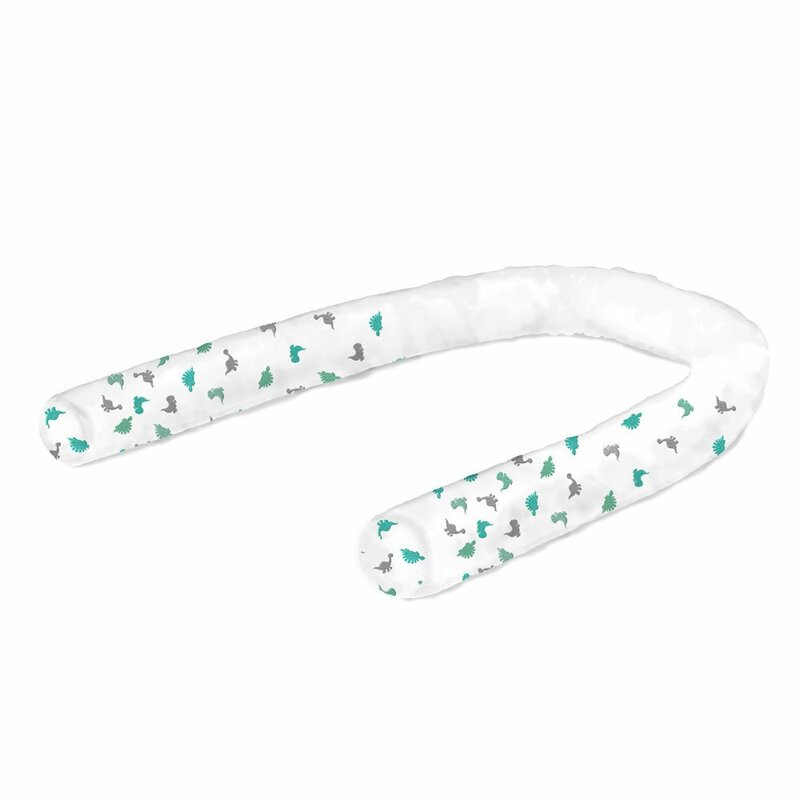 These cot bumpers and Embroidered Baby Dinosaur Cordless Cot Bumper Covers from Babes & Kids are a great addition to your nursery. 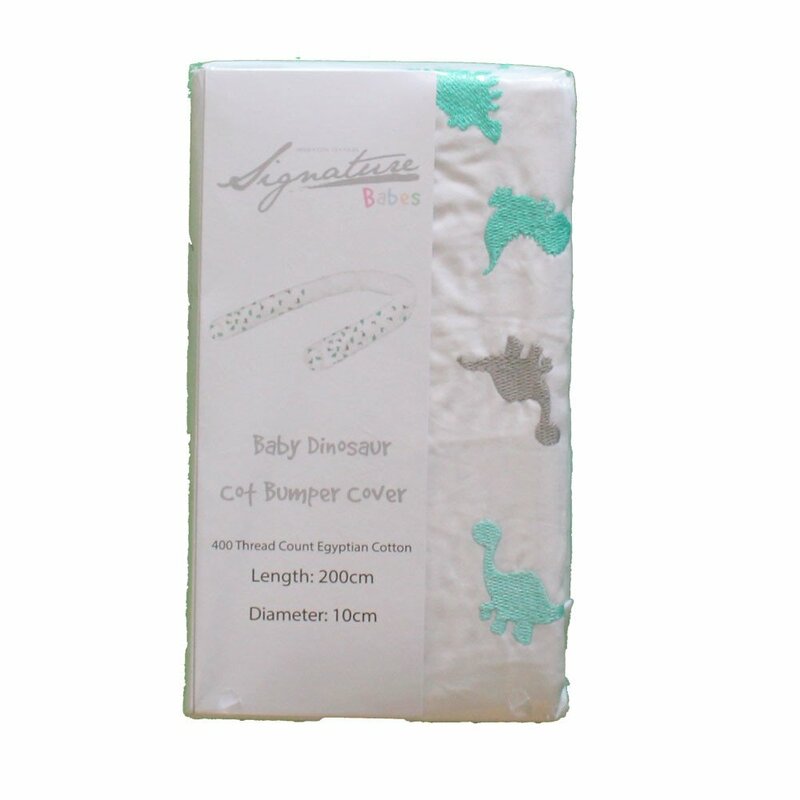 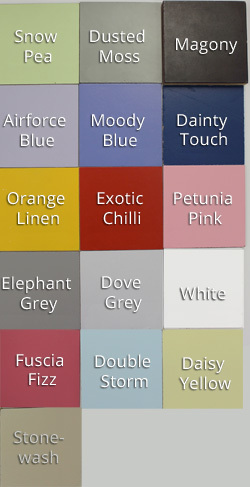 They offer a unique cordless design with an Egyptian Cotton cover with child safe zip to fit our wool cot bumper inners. 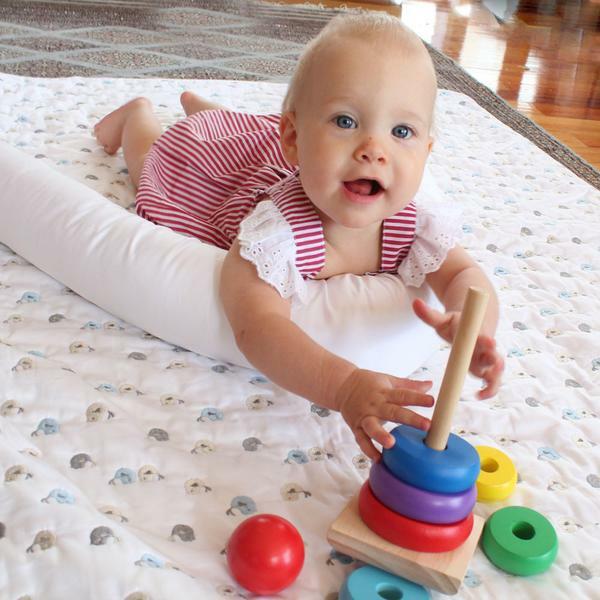 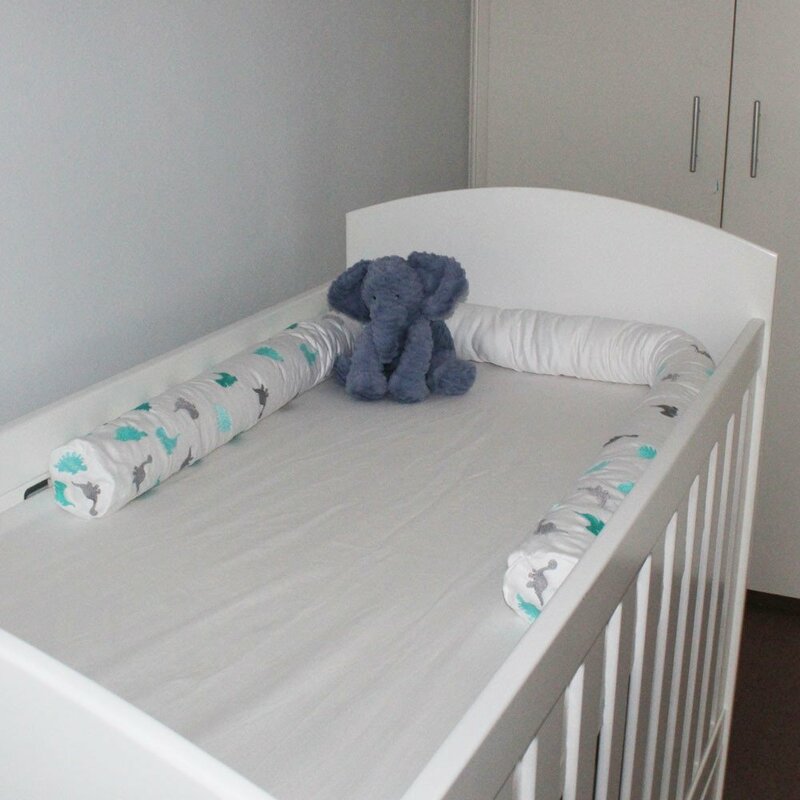 The cot bumpers are very versatile as they fit all cots and are also great for tummy time (before babies are strong enough to prop on their forearms unaided). 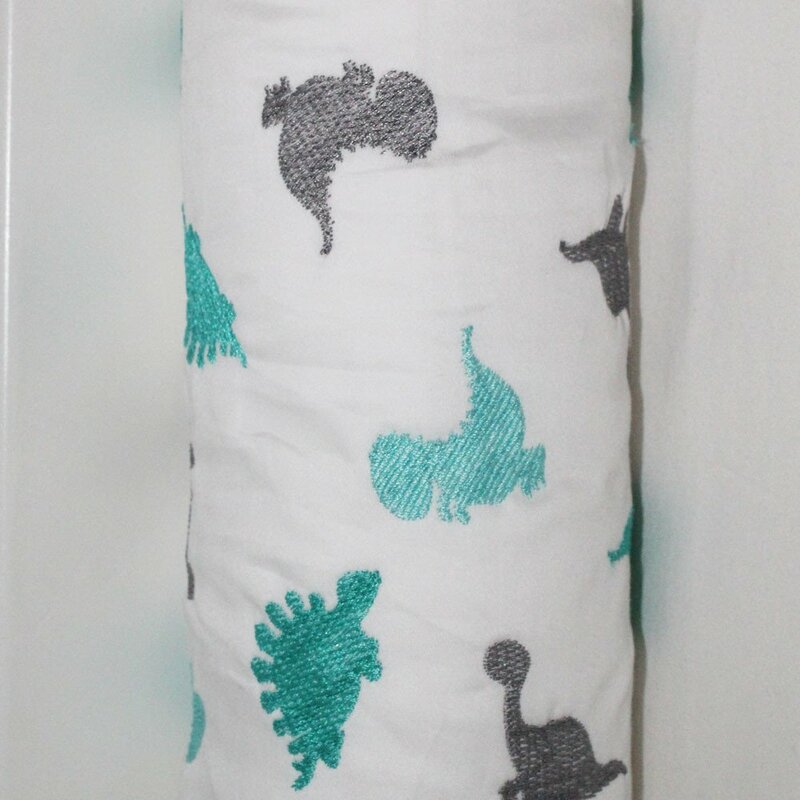 This Embroidered Baby Dinosaur goes beautifully with our Dinosaurs baby bedding collection.